We make portraits like this one in gold, silver & platinum. In commissioning carvings like this, the first step is to provide photos. The more the better (and seeing the subject first hand helps), as an accurate carving takes very many hours it is very important that we know the subject and know what you would like to see in the final result. 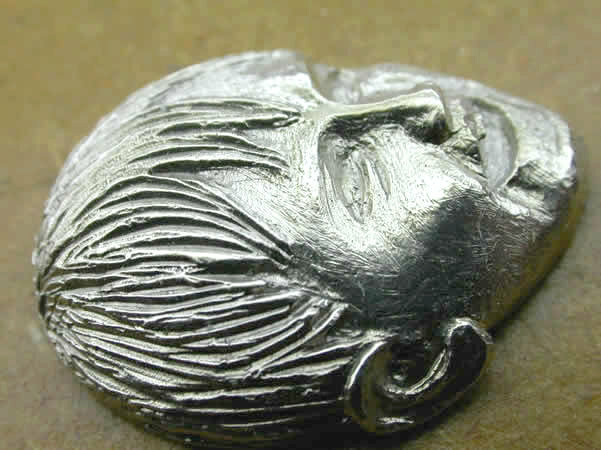 As with all hand carved waxes, you are able to see and approve the wax before casting.